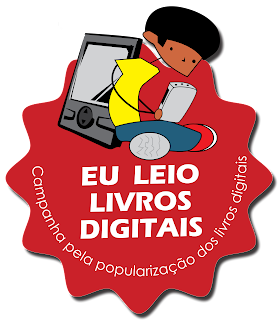 EbookBR: Qual o nome do seu "filho"? Qual o nome do seu "filho"? Estava aqui de bobeira pensando num nome pro meu Kindle. Tinha pensado em vários (como Moleskindle, porque adoro os cadernos Moleskine, ou Qunídou, ou Kinder (ovo :-), mas nenhum realmente me dizia algo... enquanto isso, tava lá no meu Kindle o nome "Andre´s Kindle"... sem graça pra cacete. Daí me veio a idéia de dar um nome que representasse ele, em sua forma, seu significado, seu potencial. O que veio foi Tabula Rasa! Gostei, adotei. Junto com os grupos de comentários seguem os endereços das fontes. "I renamed my K1 Batman, becasue I hade the intent of putting a Tego skin on it with Batman"
"My K2 is named Pandorg 1, after a series of silliness in the Lounge. " "If I had a Kindle, I'd name it Wally. " "Mine is named Lorianna. " "Mine's Emily's Pearl + my cell phone #. Emily so if someone finds it & actually calls me they know who to ask for. " "Mine is Adelie (pronounced aDAYlee) Reed. Adelie is a type of penguin, and I'm penguin obsessed being just back from my second trip to Antarctica." "I used to call my Kindle Vera. (Coincidentally, this is where the name Vera came from for Harv & Vera.)" Kindle 3 #3 (Drake…this is Kindle #6 for me, and Number 6 on The Prisoner is widely believed, with some evidence to support it, to be John Drake, Patrick McGoohan’s spy character in a previous series). "Mine is called Marius. He (can't think of it as an "it") is named for one of Anne Rice's vampires, Marius de Romanus." "I have named my kindle - Merriweather (the blue fairy from Sleeping Beauty)"
"I have a tendency to feminize things I name...cars, etc. So I chose Miz Kindle for mine"
"I just call my miracle devise KIN. He seems to recognize his name. My DH is envious of his old techie wife. Ha!" "My Kindle is named Bartimaeus from one of my favorite books, The Amulet of Samarkand by Jonathan Stroud. Like the Bartimaeus in the book, my Kindle can leap high buildings and store a whole library of books in a small space." "I named mine Abby, after a character from NCIS, because of one of her lines: 'I hug and kiss technology!'" "Mine is named Francie ... from A Tree Grows in Brooklyn"